As the UK seems to be completely snowed under, we thought we would put together a selection of some of the nicest outerwear available to keep you looking stylish and cosy in this icy weather. Winter is a great season for layering, which bodes well for those of us who just want to wrap up warm when out and about. Aside from wanting to keep warm, we also want to look like we’ve thought about what we’re wearing and that we’ve made an effort. Starting from the inside out, this little slice of luxury from Diane Von Furstenburg is a glorious way to layer up underneath a coat or jacket. With its cute design, this wool mix jumper would look great layered over a T-shirt or with a collared shirt peeking out over the top. 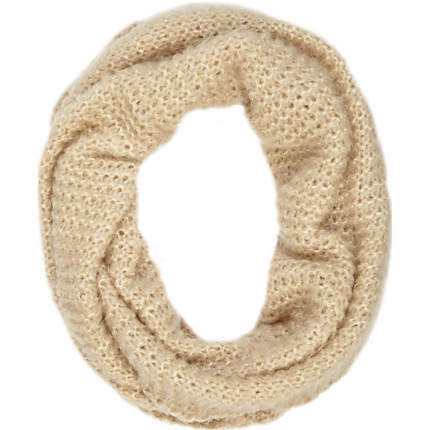 Another accessory, which is vital in this bitter cold, is a snood or infinity scarf.With the traditional scarf, you have to wrap it and of course you are left with the ends needing to be tucked in somewhere or simply hanging down, but with an infinity scarf, you need not worry. Simply pop over your head and you’re done-you are just left with a super warm neck! They also look really chic and put together, which can add a lot to an outfit. We really like this one from River Island. To keep everything warm and snug, we all need a super stylish coat. 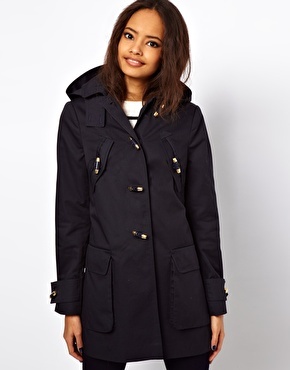 This duffle style coat from ASOS is a really gorgeous design and would look perfect paired with all of your winter accessories. It’s also a really great length, which allows for all of your layering underneath to keep hidden. Seeing as we lose most of the heat from our heads, no wintery snowy outfit would be complete without a hat. This burgundy bobble hat from ASOS is the perfect way to keep your head nice and warm whilst looking completely on trend. Last but certainly not least, a good pair of winter boots is essential in snow. Absolutely essential. When your feet are warm, it strangely feels like the rest of you is warm, too. Even though the traditional ‘ugly’ style boots are not the most stylish of footwear, they certainly provide warmth and heat when walking in the snow. 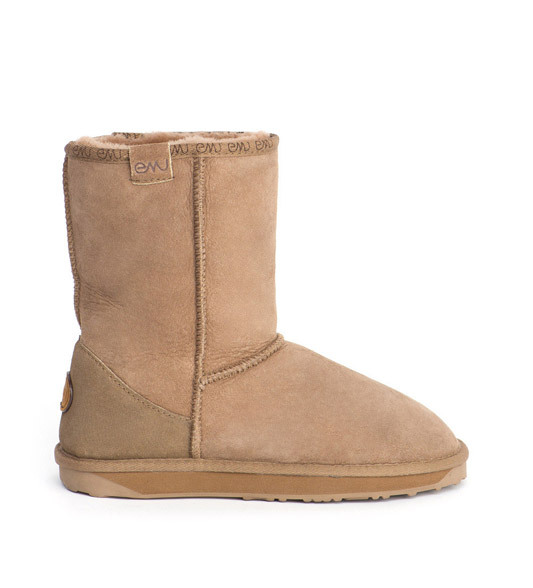 As much as we love our Ugg’s, they do need a water protectant spray if walking in the rain or the snow. Whereas, Emu boots, who were actually the original ‘ugly’ style boot maker, are completely water-resistant upon purchase. Water, snow and ice just runs off of them, leaving your boots water mark free and keeping your feet completely toasty from the sheepskin lining. We love the Emu Stinger Lo style.